LOS ANGELES -- The divorcing co-hosts of HGTV's "Flip or Flop" are returning to the show for a seventh season. HGTV announced late Monday that Tarek and Christina El Moussa will be back on the show for a 20-episode run beginning in December. Tarek El Moussa filed for divorce from Christina El Moussa in January. They have two children together. The couple announced their separation last year after police were called to their California home over what the couple called an "unfortunate misunderstanding." Tarek and Christina El Moussa said in a statement that police were called out of "an abundance of caution." They said there was no violence and no charges were filed. Orange County sheriff's office deputies said they responded to the home May 23, 2016 after getting a report about a possibly suicidal man. Christina El Moussa told deputies that Tarek took a handgun, put it in a backpack and ran outside, according to the sheriff's office. Deputies then brought in a sheriff's helicopter to locate El Moussa after learning he was walking around with the gun in a nearby state park. El Moussa complied with deputies after he was found, and they escorted him back to the house. Both Christina and Tarek El Moussa denied that he was suicidal. Tarek El Moussa told deputies he had gone hiking to "blow off some steam" and brought the gun to protect himself against mountain lions and rattlesnakes, deputies said. The couple said the incident prompted them to seek counseling and they've decided to separate while evaluating the future of their marriage. HGTV said at the time that it will honor any decision that works best for the couple and their children and that the home renovation series "will continue production as scheduled." 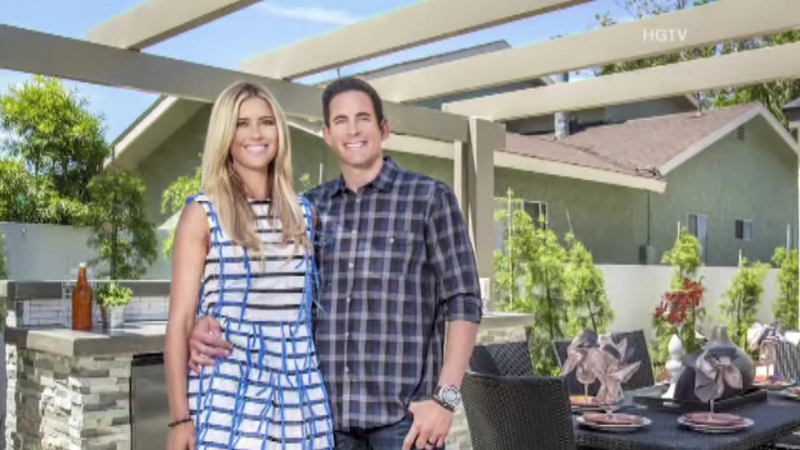 "Flip or Flop" follows the El Moussas as they buy, renovate and sell Southern California properties. HGTV says the popularity of the show has inspired a franchise that will follow house-flippers in other cities.